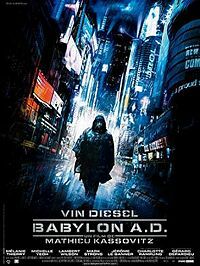 The Lowdown: Based on the novel by Maurice Georges Dantec, La Haine director Mathieu Kassovitz developed Babylon A.D. for over 5 years, before filming began in the Czech Republic in early 2007. Un-cooperative weather, and constant clashes between Kassovitz and distributor 20th Century Fox, forced the production to go over schedule, and over budget. The Fallout: 20th Century Fox stepped in during post production, and delivered a confusing 93 minute cut, which was slammed by critics and bombed at the box office. Both lead actor Vin Diesel and Kassovitz denounced the finished product, with Kassovitz going so far to call it a "bad episode of 24". 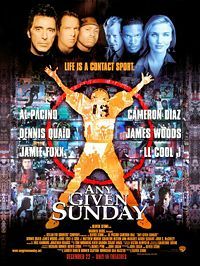 The Lowdown: Playing rival team mates in Oliver Stones sports drama Any Given Sunday, Jamie Foxx and rap artist L.L. Cool J got into a fist fight, after the latter took his method approach to his acting a little too far. The scuffle resulted with Foxx receiving a cut to his forehead. The Fallout: Unlike other movies, Any Given Sunday benefited from Foxx's and L.L. Cool J's dislike for each other. Although the pair ended their feud in 2006, Foxx used their confrontation in many of his stand up routines, as shown bellow. The Lowdown: It was a battle royale on the set of Paul Schrader's Blue Collar, with co-stars Harvey Keitel, Yaphet Kotto, and Richard Pryor all taking a dislike for each other. Fist fights in between takes was a common occurrence. Schrader lamented on the commentary of the films DVD, that in one such occasion, Pryor punched Keitel and then hit Kotto with a chair! 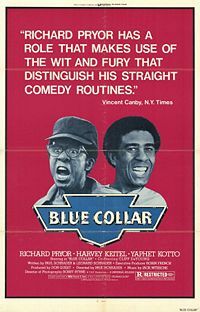 The Fallout: Despite the bad blood on set, Blue Collar was well received by critics, and would go on to become a cult classic. Pryor in particular received the best notices of his acting career. 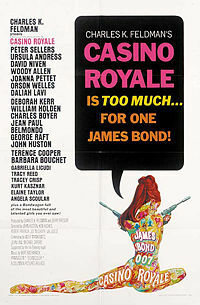 The Lowdown: Peter Sellers created quite a stink towards equally legendary figure Orson Welles on the set of 1967's Casino Royale. Welles returned Sellers' scorn, referring to the talented comedic actor as "that amateur!" Supposedly, the rift materialised after a visiting Princess Margaret snubbed Sellers - who was an old friend - and gushed over Welles instead. The Fallout: With Sellers refusing to work with Welles, and leaving the set for days on end, director Val Guest was left with no choice but to fire him, thus abruptly getting rid of his character earlier than intended. 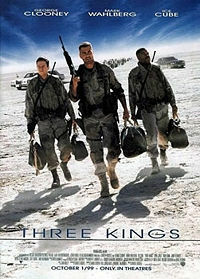 The Lowdown: Throughout the production of Three Kings, under pressure director David O. Russell, and over worked actor George Clooney, constantly butted heads, since the latter believed that the former was too harsh on the films extras. Yet the crap really hit the fan during the filming of the movies finale, when Clooney and Russell got into a physical altercation, which prompted the films second assistant director to quit in disgust. The Fallout: Despite the bad blood between Clooney and Russell, the film scored rave reviews and made a profit at the box office. Clooney still speaks about the incident to this day, and has stated that he will never work with Russel again. Supposedly Russel has not learned his lesson, and was caught on camera arguing with Lily Tomlin on the set of I Heart Huckabees (see below). The Lowdown: The feud between actor Edward Norton and director Tony Kaye, began - according to Kaye's series of full page advertisements in Variety Magazine - when Norton re-edited the film in order to give himself more screen time. Kaye attempted to have his name taken off the finished product, and replaced with Humpty Dumpty. The Director's Guild of Directors denied Kaye the right to do so, since the ads which he placed in Variety were a direct violation of Guild rules. 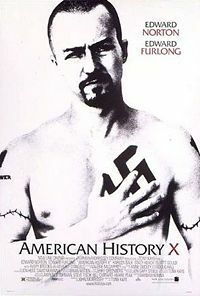 The Fallout: Although Kaye unsuccessfully attempted to sue the Directors Guild and New Line Cinema for the sum of $275 million, American History X went on to become a critically applauded and profitable film, in the process garnering Norton an Oscar nomination for best actor. Kaye has not directed a feature film since, although he has been busy directing documentaries and music videos. 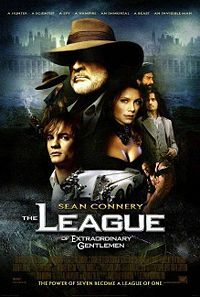 The Lowdown: By the second day of shooting, veteran actor and icon Sean Connery and director Stephen Norrington had already fallen out, creating a tense and volatile atmosphere on the set of their big budget spectacle, The League of Extraordinary Gentlemen. To make matters worse, heavy floods in the Czech Republic caused $7 million dollars worth of damage, and delayed filming. 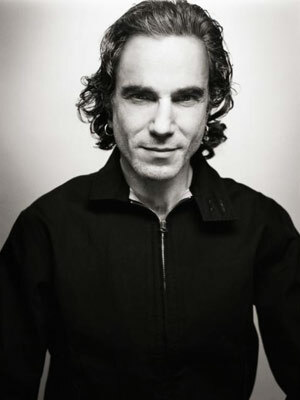 The Fallout: The film was panned by the critics, Norrington vowed he will never to direct another movie again, and Connery said good bye to the acting game. The Lowdown: Declaring director Terry Gilliam's Brazil was too dark, Universal head honcho Sid Sheinberg ordered a total re-cut, complete with a happy "Hollywood" ending attached. 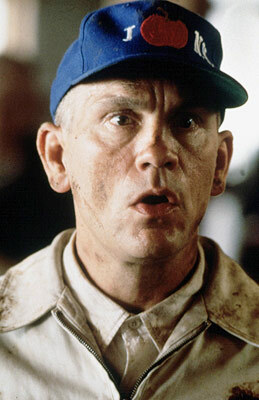 A horrified Gilliam disowned Sheinberg's cut, and under went drastic measures to have his version released. This included taking out a full page ad in Variety, and pleading on national television for Sheinberg to release his movie. The Fallout: With critics applauding Gilliam's version (the film was screened at secret showings and available via boot legged copies), a humiliated Sheinberg caved and gave Gilliam his wish. 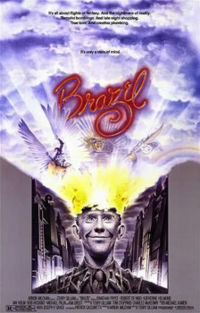 Brazil was released to the masses as Gilliam intended, earning two Oscar nominations for its trouble. The Lowdown: Aguirre, The Wrath of God, was the first collaboration between prolific director Werner Herzog, and the volatile Klaus Kinski. Throughout the production, the two were constantly at loggerheads about how Kinski should play his role, among numerous other squabbles. This led to an infamous confrontation between the pair, when a clearly out of his mind Herzog threatened to shoot Kinski and himself, if Kinski made true on his threat to leave the production. Herzog later made it clear that he was quite prepared to do so, yet denied Kinski's claims that he waived around a pistol in order to illustrate his point. The Fallout: One would think that a director threatening to shoot his actor's brains out would be enough to make the two lifelong enemies. Yet surprisingly, Herzog and Kinski would become lifelong friends, and make several more films together. 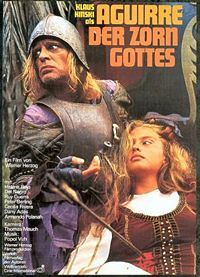 Meanwhile, Aguirre, The Wrath of God, went on to become a highly acclaimed, cult favourite. The Lowdown: Acclaimed director Francis Ford Coppola's passion project, Apocalypse Now, was supposed to be a straight forward affair. He secured finance through his production company, Zoetrobe Studios; he had signed Harvey Keitel and Marlon Brando to star in the film; and he had secured a deal with the Philippines government to begin production in their backyard for a supposed 16 week shoot. Instead, the shoot ended up accumulating 238 days of principal photography, in which time Keitel was fired and replaced by Martin Sheen, (whose poor health and alcoholism lead to a near fatal heart attack); several key scenes were ruined when government helicopters (supposedly at Coppola's disposal) were ordered mid shoot to fight against neighbouring rebel militia; and a typhoon destroyed sets and delayed filming for 2 months. On top of this, Coppola battled constantly against his erratic cast. Especially Marlon Brando, who finally appeared on the set grossly overweight and under prepared; and Dennis Hopper, who was driving Coppola mad with his unwanted improvisation and loony, drug fuelled behaviour. As expected, press speculation back in America was ripe, portraying Coppola as a man gone crazy, which was actually not far from the truth. The Fallout: Despite being over budget and over schedule, Coppola delivered the film to the Cannes Film Festival, and it became a critical and commercial hit. 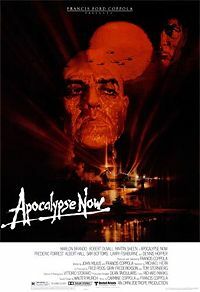 Apocalypse Now is now seen as the definitive war movie, while the documentary based on its disastrous production - Hearts of Darkness - became infamous in its own right.